Best Tel Aviv Blogs 2019 - As Selected by Locals! 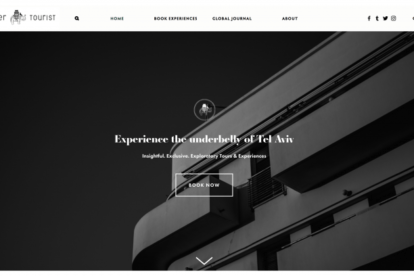 Best Tel Aviv Blogs 2019 – As Selected by Locals! 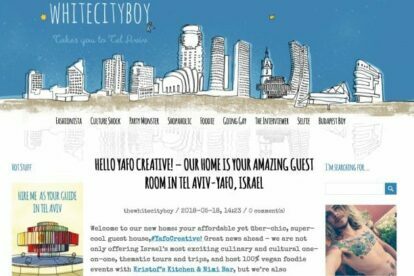 We asked our own Tel Aviv bloggers about their favorite independent Tel Aviv blogs & websites. Here’s a list of their tips in alphabetical order! A Tel Aviv local blog isn’t the kind of blog you would expect to be in Russian. However, Be in Israel (in Russian – translation here) is a rare and exciting blog all about Israel and, more specifically, Tel Aviv. This blog focuses mainly on the culture and lifestyle of the city, with occasional guides and travel advice. Do you want to get to know the city? Eager Tourist not only provides blog posts about Tel Aviv and other destinations, they also organize tours within the city. The organization wants to build a bridge between locals and tourists. Which we can only encourage. All kinds of topics are covered; think architecture, bars, and photography. With Eager Tourist, you’re sure not to miss out on the best local experiences. If you’re someone who is interested in finding out all the local secrets and hidden places within Tel Aviv, then Secret Tel Aviv is the blog for you! This local independent blog posts regularly about some of the best kept, and sometimes worst kept, secrets of Tel Aviv, from events and places to check out to bars, cafes, restaurants, and shops. The posts found on this blog are diverse and provides readers with a closer look at interesting places, events, and restaurants to go to! 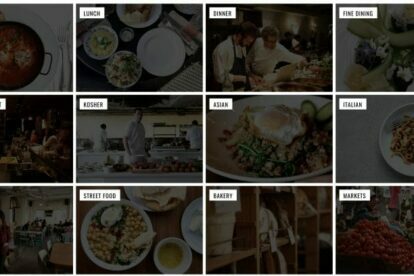 This blog is for our fellow foodies. Whether you’re fancying an ice cream, burgers or some delicious pastries: Tel Aveat tells you where to go. They’ve got different kind of categories, either by food type or by the occasion. The map makes it easy to get an overview when you’re looking in a particular part of the city. We’re already getting hungry just by looking at the site. If you consider yourself a bit of a foodie and are mostly interested in local places to eat and drink at while in Tel Aviv, then the Tel-Aviv Foodie Guide blog is one you need to check out. 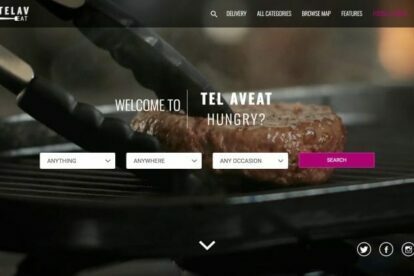 With up to date content about the new, classic, and upcoming interesting places to check out for food and drink, this blog provides excellent reviews and articles about foodie tried and approved local bars, cafes, and restaurants in Tel Aviv, with a large collection of different criteria for you to peruse at your own leisure. Are you interested in LGBTQ+ culture in the city? Do you enjoy learning about local cultures? Want interesting tips and tricks for traveling through the Israelian capital? If you answered yes to any of these questions, then go ahead and take a peek at White City Boy blog! This blog is run by locals and offers readers an interesting and intimate look into the city of Tel Aviv through its gay culture, party areas and more, with fun and regularly posted articles and reviews about the city! Did we miss your favorite blog about Tel Aviv? Please let us know at telaviv@spottedbylocals.com!